Savvy Spending: Free sample In Full Bloom Perfume from Kate Spade! 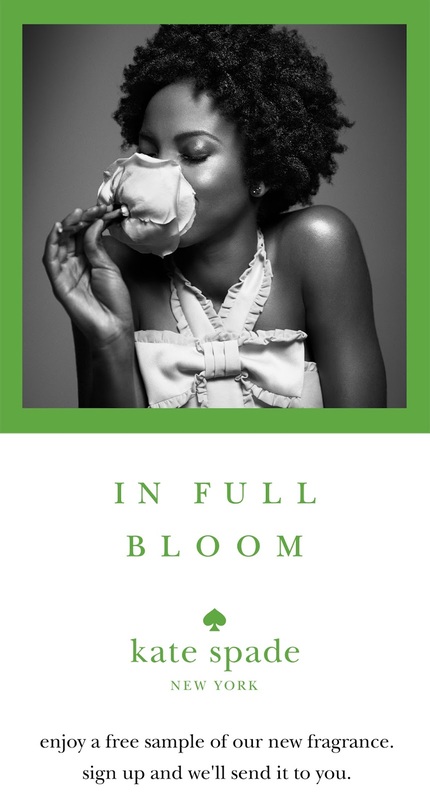 Free sample In Full Bloom Perfume from Kate Spade! You can request a FREE ‘In Full Bloom’ perfume sample. Your sample should arrive in 7 – 10 days. You have until April 1 to request yours!